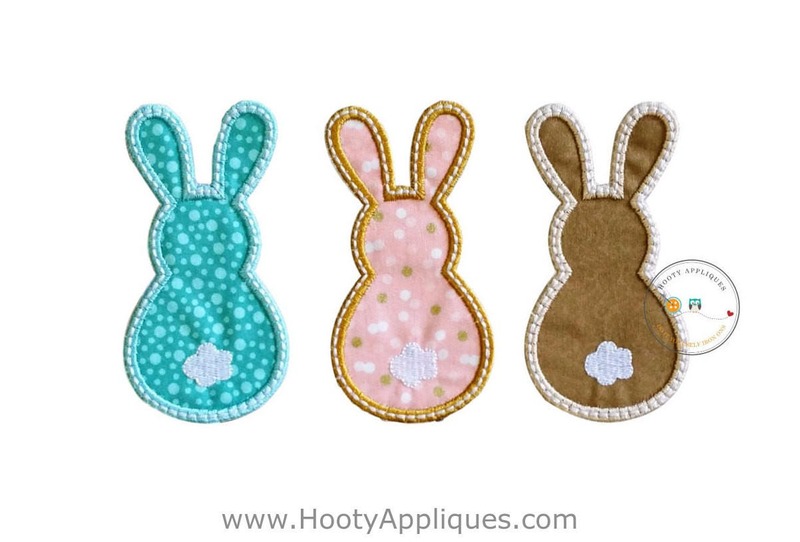 Cute bunny trio features three bunny silhouettes done in teal, brown and pink. These cuties are not attached to each other and be moved into any configuration your heart desires. 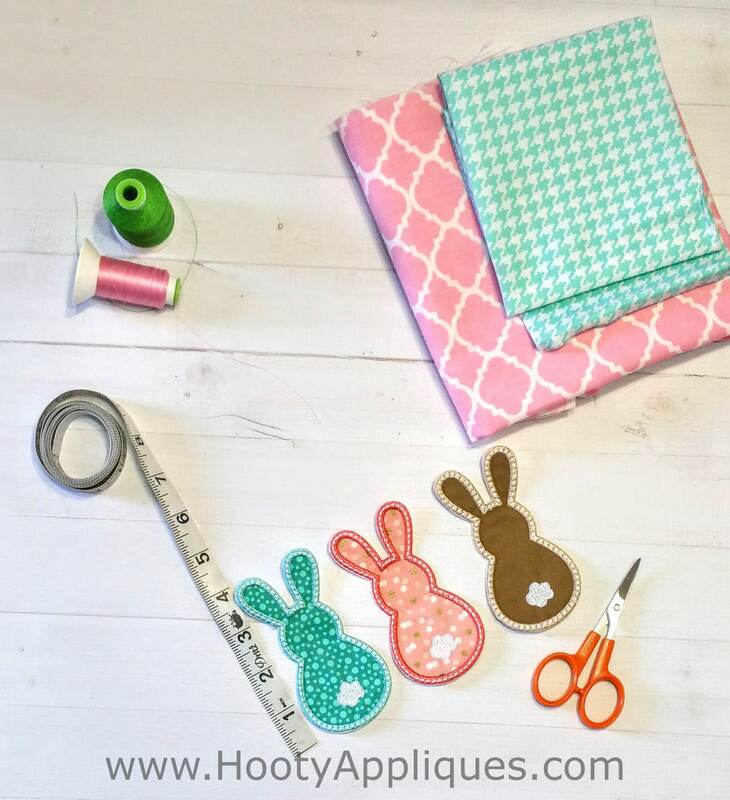 Use all of them on what shirt or break them apart and use them on three different shirts. It is like getting 3 patches for the price of one! 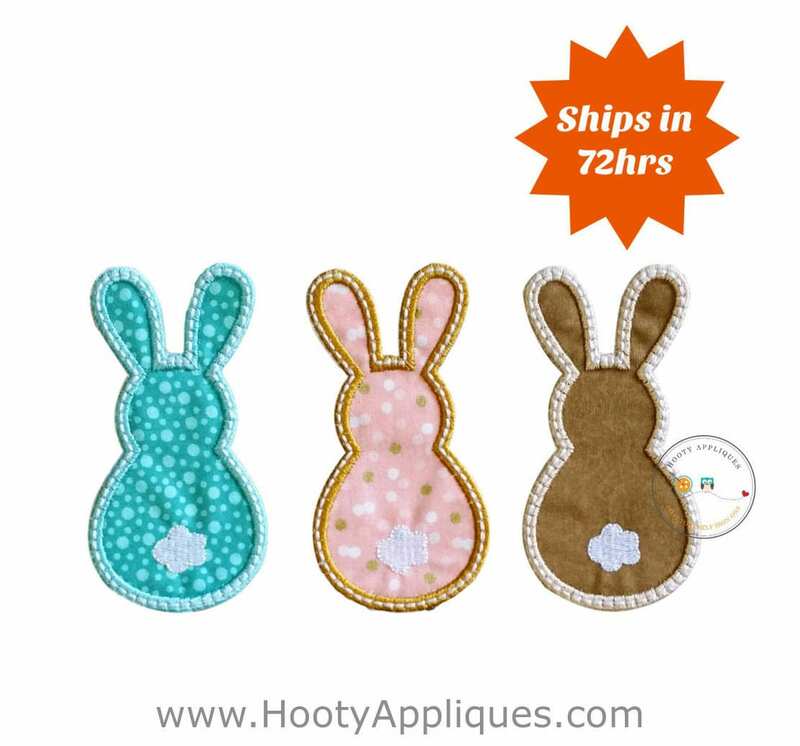 *Patch measures 4.25 inches tall and 2.25 inches wide.